Along with 31 days of blogging (which I almost managed), in October I tried to include 31 minutes of personal just-for-fun crafting into my day. Like Blogtoberfest, I almost managed it, and I’m ok with where I missed out. The big week where everything fell apart was the week before quilt camp, but besides those four or so days, most days I managed something. I finished my selfie scrapbook. I made progress on my old December Daily album (yes I know I am super behind). I started working on digital papers for this year’s December Daily. I painted and cross-stitched and played with black out poetry. I basted a quilt, and caught up with Project Life. It was a fun, colourful, fabulously creative month. Definitely a project I will take on again!! 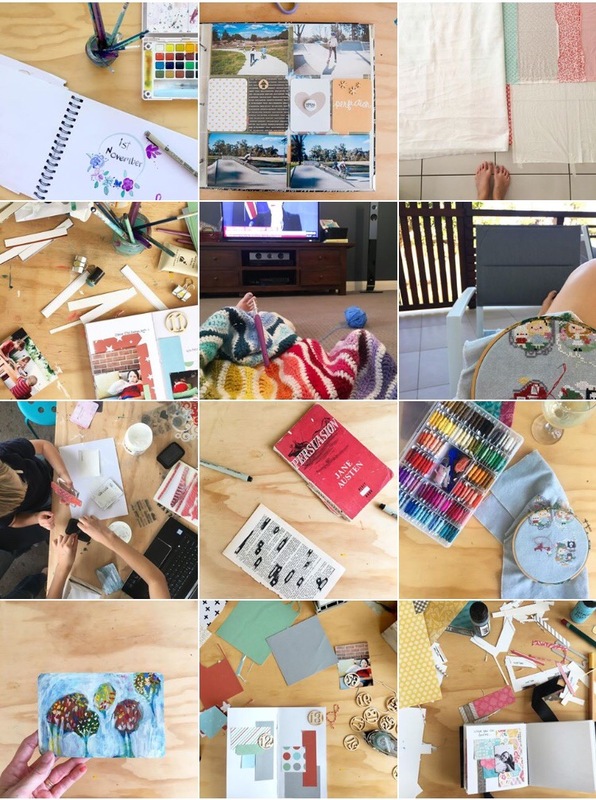 Most of my projects I shared on Instagram, tagged as #barefoot31days, though I didn’t end up sharing every day, because I was often working on the same project a few days in a row and that just gets boring! I shared 15 photos on IG, with another 3 of my selfie scrapbook, 2 of December Daily 2016, and 1 of 2017, takes me to 19. Three days of quilt camp didn’t get tagged, nor did the mad camp crafting the week before, which was another two or three days. That’s 25. The other days I often did a bit while the kids did school, so technically I squeezed it in! I think I can call this challenge done, and successful (or close enough). On to the next one!